My friends at Elite playing cards are not new in this business. In fact, they have become a synonymous of elegance in playing cards. 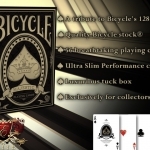 All their previous decks are nice and bold, and now they present a new example of their fantastic art design: Collectors Bicycle Playing Cards. 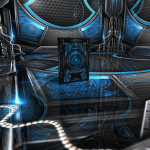 In this deck, they have combined a bold and intricate design with amazing materials. 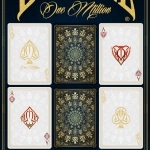 Each design has been carefully hand drawn, from pips to court cards, giving as result a unique set of playing cards. Like in previous creations, the combination of gold and red in cards reinterprets the elegance concept into something luxurious and refined. 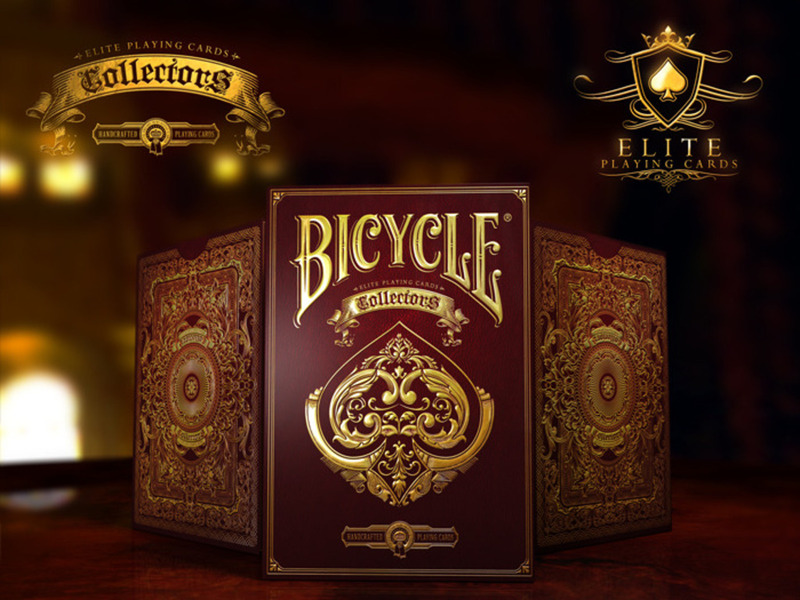 The tuck box is something unique too, made in antique gold foil, embossed, and with a limited edition seal with a 5,000 decks print run. 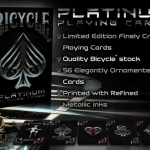 Bicycle branded, printed by the USPCC, the cards will have linen finish and a more durable Magic coating. The project is already funded so you simply can’t miss it. Visit the project website and raise your pledge.